Heinrich Stegemann was born in 1888 in Stellingen close to Hamburg. 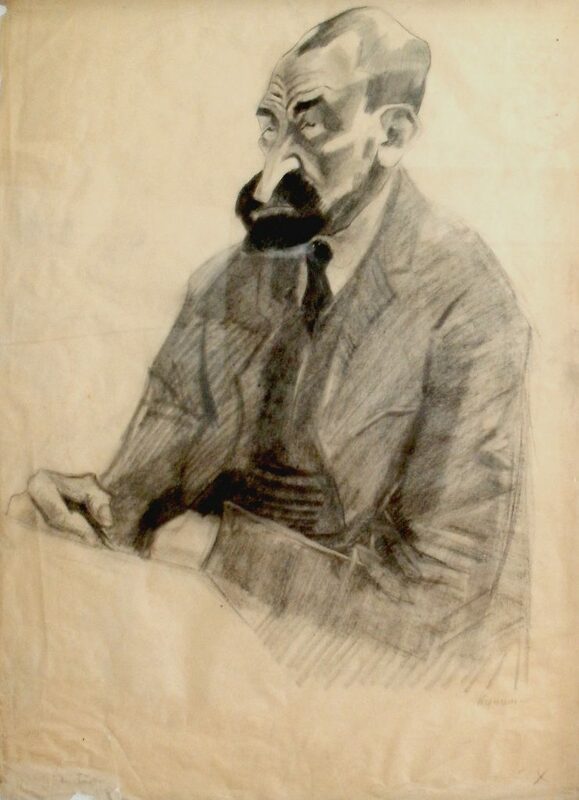 He started out as limer before joining the art academy Weimar from 1909 to 1913 as student of Albin Egger-Lienz. After the war Stegemann became member of the revolutionary artist group „Novembergruppe“ and the „Deutscher Kuenstlerbund“. 43 of his works were declared degenerated and confiscated in 1937. In a 1943 bombing (operation Gomorrah of the Royal Airforce), his house and studio burned down. Almost his entire oeuvre was destroyed. Stegemann died in 1945 in Hamburg due to cancer.